Here is a Xmas treat for our members: our December guest blogger is Prof. Dr. Wilfried Dumon, a well-known scholar in the sociology of family. 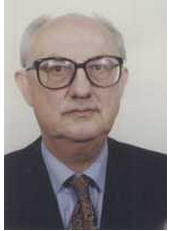 He is a Professor Emeritus at the University of Leuven, Belgium. Together with a few others, he was present at the cradle of Leuven sociology in the middle of the 1960s. He was a representative of a unique sociological perspective known as the Leuven triangle: the integration of sociological theory, methodology, and social policy. The name of Wilfried Dumon is inextricably bound up with the sociology of the family, or more broadly, with the family sciences at the national and at the international level.For those who could not attend the Leuven seminar in September, here is an interesting analytic and historical account of two CFR seminars in Leuven (1981 and 2012). Enjoy and leave your comments below! The XIXth international CFR-Seminar on “Divorce and Remarriage” was organized at the KU Leuven, September 1981. The same group FaPOS (Family and Population Studies) hosted at the same location, same season, September 2012, the 47th CFR-Seminar under the style of “New Family Forms following Family Dissolution: consequences in/on Postmodern Society”. As stated by the organizer, Prof. dr. Koen Matthijs, the aim was “to look backwards and examine what has happened in society, but also in our field of family sociology” during the time span of three decades. Evaluating the latter seminar we remember what Prof. Reuben Hill, a founding father of CFR, said while recalling the developments between the 50’s and the 80’s (also three decades): “We have come a long way”. And indeed, in terms of theory (e.g. from an institutional to an interactional/systemic approach), in terms of methods and techniques (e.g. from descriptive to analytical frames of reference) as well as to the building of research papers (e.g. from single to multiple authorship) we are living in a new area. a) the term “family dissolution”; b) the term “stepchild/father/mother”. In some instances the adequacy of the term “family dissolution” as referring to “divorce” can be put into question on two accounts: theoretical and empirical. If one focusses on the family as a system constituted of three sub-systems (1) the partner subsystem; (2) the parental subsystem; (3) the sibling subsystem, a divorce results in the dissolution of one subsystem only, the two other subsystems are not dissolved. If one looks at a post-divorce rotating living-arrangements (as described in the latter seminar) in which children stay with one parent during one time-period (e.g. a week), with the other parent the subsequent time-period (e.g. a week), then the parent-child (sub)system certainly is not dissolved. The living arrangements are changed in order to maintain the parent-child relationship. Even in less clear-cut post-divorce living arrangements, legal provisions as well as actual practice are characterized by a tendency of being increasingly geared at and instrumental in maintaining and furthering the parental as well as the sibling bonds. Conclusion: in some Western societies one can observe two tendencies: (a) a growing autonomy of the subsystems in the family; (b) the weakness of the marital subsystem (turnover of partners), is accompanied by a simultaneous strengthening of the parent-child subsystem. Or in more general terms: a strengthening of the kinship structure. The term “step” is confusing since it refers to replacement. The most popular term “stepmother” as featured in fairy tales refers to the situation after death, not after divorce. Rather than a term referring to replacement, we need a term adequately representing additional positions in the family and/or household. In the post-divorce situation, after the dissolution of the marital/partnership relation, the child still has both his/her father and his/her mother as parents. As stated above, the child (he/she) increasingly has the opportunity to maintain these relationships. Simultaneously the child can be confronted with a new position: the partner of his father/mother (or the new partners i.e. a new partner of his mother and a new partner of his father). The new partner(s) of the father/mother do not represent a replacement but constitute an additional position. In case of turnover of partners in the marital subsystem, an additional subsystem can be identified within the family: the relationship between the child and the new partner of the mother/father. If both parents have new partners, then the new subsystem will encompass two new relationships: one with the new partner of the mother, one with the new partner of the father. Each conveying the continuity of the relationship father-child/mother-child. In more general terms: it clearly marks the separation between family and household.